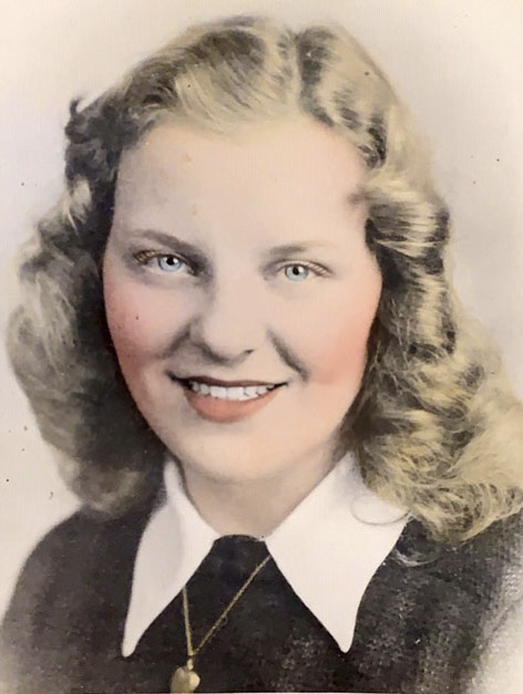 Jeanne M. Duck, 91, of Falconer passed away Friday, Feb. 8, 2019 in UPMC Hamot, Erie, Pa.
An area resident most of his life he was born Sept. 16, 1927 in Spangler, Pa., the son of the late Michael and Lucja Paruch Serafin (1962 and 1965 respectively). She was a member of Our Lady of Loreto Catholic Church. Jeanne enjoyed walking, traveling, meeting new people, and watching television. Her greatest joy was her family. As a mother, her family are quick to highlight that she was greatest mom ever. Her entire family is at peace knowing she went to be with Jesus and is reunited with her husband. She was a Godly woman who made her Christian faith a major priority throughout her life. Surviving are a son Paul M. Duck (Lillian Knipp) of Crystal River, Fla.; a daughter Patricia Duck of Falconer; a grandson Brennan Taylor Duck of Orlando, Fla.; two granddaughters: Morgan Knipp of Crystal River, Fla., and Hannah Knipp of Ocala, Fla.. Besides her parents she was preceded in death by her husband, Wendell D. Duck in 2015 whom she married Oct. 20, 1952 in Barnesboro, Pa.; a sister, Mary Louise Serafin in 1938; a brother, John Serafin in 1993; a sister, Chesterine Serafin Lystarzycyk in 2001; a brother, Michael Serafin in 2001; a sister, Sophie Serafin Rogers in 2002; a brother, Stanley Serafin in 2013; and a twin brother, Walter Serafin in 2018. Friends will be received by the family from 6 to 7 p.m. (one hour prior to funeral service) Monday in the funeral home. The Altar and Rosary Society of Our Lady of Loreto Catholic Church will conduct a rosary service at 5:30 p.m. Monday in the funeral home.